Amanda D. Ray, 44, of 1800 W Robb, Lima, found guilty of use/poss/sale/drug para. Sentence: 30 days jail. 30 days suspended. $150 fine; found guilty of visiting disorderly house. Sentence: 30 days jail. 19 days suspended. $150 fine. Victor E. Buchanan, 59, of 660 Harrison, Lima, found guilty of domestic violence. Sentence: 90 days jail. 60 days suspended. $250 fine. James N. Curl, 39, of 409 E Patterson St Apt B3 , Dunkirk, found guilty of reckless operation. Sentence: 30 days jail. 30 days suspended. $250 fine. Russell L. Odell Jr., 52, of 1308 Williamson Ave., New Matamoras, pleaded no contest to found guilty of DUS. Sentence: 30 days jail. 29 days suspended. $250 fine. Juvarus S. Bagley, 20, of 429 Nye St, Lima, pleaded no contest and found guilty of unauthorized use of property. Sentence: 30 days jail. 30 days suspended. $150 fine. Jason E. Baumgartner, 45, of 2812 Wren Ave, Elida, found guilty of OVI. Sentence: 180 days jail. 150 days suspended. $600 fine. Edward Gehle II, 50, of 14051 Middlebury, Shelby Township, Mi, found guilty of physical control. Sentence: 10 days jail. 10 days suspended. $400 fine. Loniesha U. Lee, 18, of 221 E Ballard, Ada, found guilty of obstructing official business. Sentence: 30 days jail. 30 days suspended. $150 fine. Julius L. McGill, 39, of 955 E 11Th Street, Columbus, found guilty of resisting arrest. Sentence: 10 days jail. 9 days suspended. $150 fine. Marlynn L. McGraw, 24, of 1431 Hillside Ave, Nashville, Tn, pleaded no contest and found guilty of criminal damaging/endangering. Sentence: 60 days jail. 57 days suspended. $150 fine; pleaded no contest and found guilty of DUS-OVI susp. Sentence: 30 days jail. 27 days suspended. $250 fine. Kenneth J. Mosgrove, 56, of 420 S. Canal, Spencerville, found guilty of OVI. Sentence: 180 days jail. 140 days suspended. $750 fine. Brittany N. Pessfall, 21, of 317 S Wayne St, Van Wert, found guilty of theft. Sentence: 28 days jail. 0 days suspended. $150 fine. 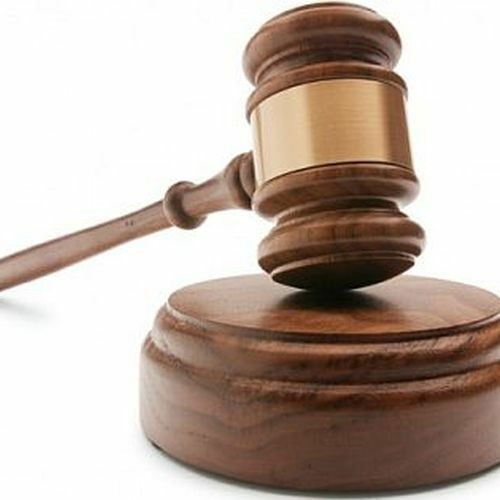 Artillus Porter, 45, of 320 1/2 N Collette , Lima, found guilty of theft. Sentence: 180 days jail. 0 days suspended. $150 fine; found guilty of theft. Sentence: 180 days jail. 180 days suspended. $150 fine. Veronica J. Riley, 36, of 815 E Albert St, Lima, found guilty of no OL. Sentence: 120 days jail. 90 days suspended. $250 fine. Jordan J. Shurelds, 27, of 1109 Homes Ave., Lima, found guilty of OVI. Sentence: 90 days jail. 80 days suspended. $500 fine. Kirsten Wharmby, 19, of 8669 Easton St, Louisville, found guilty of unauthorized use of property. Sentence: 30 days jail. 30 days suspended. $150 fine. Lisa J. White, 58, of 756 St Johns Ave, Lima, found guilty of persistent disorderly conduct. Sentence: 10 days jail. 10 days suspended. $150 fine. Sequoia A. Ackles, 23, of 111 Cam Court Apt 13, Lima, found guilty of obstructing official business. Sentence: 10 days jail. 9 days suspended. $150 fine. Lance D. Bolen, 37, of 511 Courtright St, Mcguffey, found guilty of unauthorized use of property. Sentence: 30 days jail. 30 days suspended. $150 fine. Demond A. Burns, 40, of 502 Mcpheron Ave, Lima, found guilty of aggravated menacing. Sentence: 180 days jail. 180 days suspended. $150 fine. Jacqueline Chapman, 59, of 203 E Kildare, Lima, found guilty of no OL. Sentence: 90 days jail. 85 days suspended. $150 fine. Cody E. Dietrich, 19, of 1445 E High St, Lima, pleaded no contest and found guilty of unauthorized use of property. Sentence: 30 days jail. 30 days suspended. $150 fine. Latonda N. Forrest, 38, of 401 S Jameson Ave, Lima, pleaded no contest and found guilty of physical control. Sentence: 90 days jail. 87 days suspended. $500 fine. Artillis Foster, 62, of 331 W Elm St, Lima, found guilty of assault. Sentence: 90 days jail. 75 days suspended. $150 fine. Shane A. Freytag, 31, of 880 Williams St, Lima, pleaded no contest and found guilty of OVI. Sentence: 5 days jail. 5 days suspended. $0 fine. Lindsay R. Gallagher, 32, of 737 E Sandusky St Apt 10, Findlay, found guilty of use/poss/sale/drug para. Sentence: 30 days jail. 17 days suspended. $150 fine. Jenique K. Gunn, 30, of 340 N Collett St, Lima, found guilty of assault. Sentence: 120 days jail. 110 days suspended. $250 fine; found guilty of resisting arrest. Sentence: 90 days jail. 80 days suspended. $150 fine. Shanika D. Hester, 30, of 524 Nova St, Lima, found guilty of DUS-FRA. Sentence: 30 days jail. 30 days suspended. $150 fine; found guilty of DUS-FRA. Sentence: 30 days jail. 25 days suspended. $150 fine. Joshua G. Imel, 20, of 131 North Sycamore Street, Saint Henry, found guilty of prohibitions; minors under 21. Sentence: 30 days jail. 29 days suspended. $150 fine. John M. Kile, 24, of 2973 Lakewood Ave, Lima, found guilty of domestic violence. Sentence: 30 days jail. 30 days suspended. $150 fine; found guilty of failure to identify. Sentence: 30 days jail. 30 days suspended. $150 fine. Christopher M. Kratzer, 45, of 1132 Catalpa Ave, Lima, found guilty of theft. Sentence: 90 days jail. 80 days suspended. $250 fine. Stacey Lyons, 30, of 1633 Reed Road, Lima, pleaded no contest and found guilty of assault. Sentence: 90 days jail. 90 days suspended. $150 fine. Johnnie B. McClellan, 56, of 730 N Charles St, Lima, found guilty of DUS-OVI susp. Sentence: 180 days jail. 177 days suspended. $500 fine. Taylor McLellan, 29, of 400 S Mumaugh Rd Apt 4-2, Lima, found guilty of DUS-FRA. Sentence: 30 days jail. 20 days suspended. $150 fine. Annette J. Nelson, 52, of 131 Colony Trl, Lima, pleaded no contest and found guilty of unauthorized use of property. Sentence: 30 days jail. 30 days suspended. $150 fine. Darian OLiphant, 19, of 1032 W. Spring St., Lima, found guilty of obstructing official business. Sentence: 30 days jail. 29 days suspended. $150 fine; found guilty of criminal trespass. Sentence: 30 days jail. 28 days suspended. $150 fine. Trina D. Shorter, 35, of 907 Fairview Ave, Lima, found guilty of reckless operation. Sentence: 3 days jail. 3 days suspended. $150 fine. Shirley A. Taylor, 20, of 1625 Bradfield #44, Lima, found guilty of prohibitions; minors under 21. Sentence: 180 days jail. 90 days suspended. $150 fine; found guilty of OVI. Sentence: 10 days jail. 10 days suspended. $500 fine. Schronda D. Upshaw, 41, of 786 Weadock Ave, Lima, found guilty of unauthorized use of property. Sentence: 30 days jail. 30 days suspended. $150 fine.